"When we were young, as far back as I can remember, we would play naval aviators on the couch, and either my brother or I would wear the gold Glenn Navy helmet and one of us would wear a helmet that belonged to my father," Carpenter said. That's Glenn, as in John Glenn, the first American to orbit earth, and their father, Scott Carpenter. Both men were among the Mercury Seven, the group of astronauts that piloted America's first manned spaceflights in the 1960s. 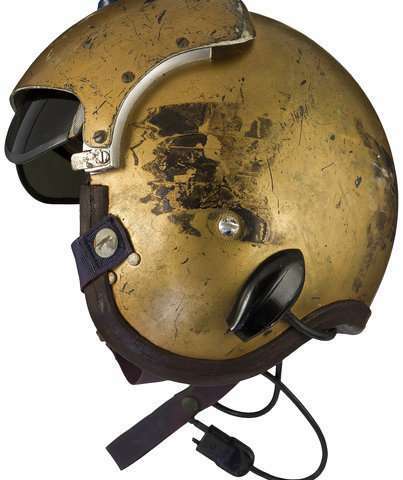 Now, both astronauts are gone and Matt says the brothers want the public to get a chance at the golden helmet, which Glenn wore while setting the transcontinental speed record during 1957's "Project Bullet." He gave it to Carpenter, who was a good friend, as a gift. Among Armstrong's personal items are pieces of a wing and propeller from the 1903 Wright Flyer, the first successful heavier-than-air powered aircraft. Armstrong, who like Glenn and brothers Wilbur and Orville Wright was from Ohio, took the items with him to the moon. 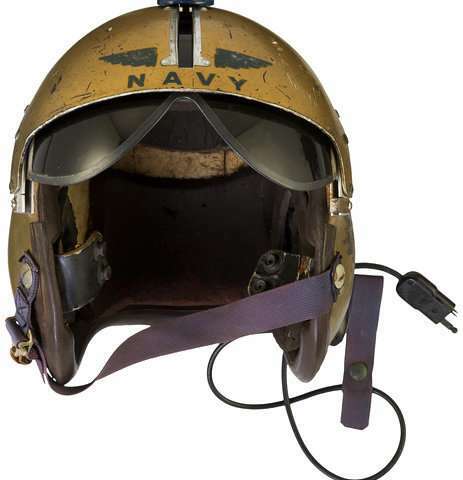 As with the Glenn helmet, Armstrong's items landed in the lap of the next generation after the famed astronaut died in 2012. Carpenter died in 2013 and Glenn followed in 2016, at age 95, the last surviving Mercury Seven astronaut. An estate sale of his belongings took place in March. When the Carpenters discovered Armstrong's sons had organized a sale of their famous father's memorabilia, Matt Carpenter said the helmet seemed like an ideal fit. An effort to auction it earlier this year had been unsuccessful. "Obviously, we'd love to get the most money realized for it, but also we'd love to get somebody who's going to appreciate it," he said. "I think it's a very special thing." Its working title is the famous Glenn quote, "Zero-G and I feel fine."